Sweden has a reputation as one of the few decent and sensible places in a world gone mad, a place of sensibly priced furnishings and gravy-covered meat. But even its sterling reputation is in a doubt now, following the shocking admission that the country's famous meatballs are in fact from Turkey. Seemingly unprovoked, the country recently took to Twitter and threw its very own King Charles XII under the proverbial meatball bus to once and for all correct history books and Ikea menus everywhere. Clearly the global community was upset about this revelation, but no one was more distraught than the Swede who tweeted, "My whole life has been a lie." Apparently so-called the "Swedish meatball," veritable jewel of the Ikea food court, is just a riff on a Turkish dish called kofte. The Turkish media and populace at large were delighted by what they called the "confession." Some suggested that King Charles, who ruled Sweden from 1697 to 1718 and was in exile in the Ottoman Empire for some time, also took coffee beans and stuffed cabbage from Turkey. 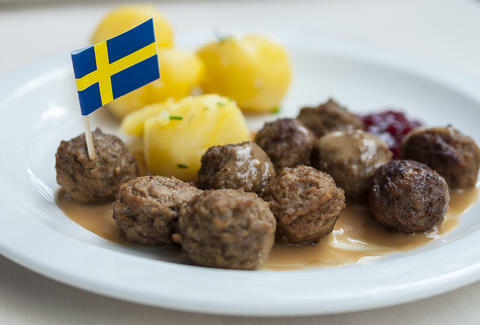 Julia Moskin, a food writer for The New York Times, came to Sweden's defense, tweeting that in fact the addition of cream gravy makes the meatballs Swedish. Whether that absolves the Swedes is for each of us to decide in our hearts. But whatever the truth may be, Sweden deserves some credit for owning up to it on its own terms.